Saad Gulzar is an Assistant Professor of political science at Stanford University. He was a former country economist at IGC Pakistan and received a PhD in political science from New York University. He holds a Masters in Public Administration from Columbia University and a Masters in Public Policy from the National University of Singapore. 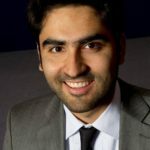 Saad worked on a health governance Randomised Control Trial in Pakistan studying the impact of a unique Information and Communications Technology intervention on the monitoring of remote primary health facilities in Pakistan.